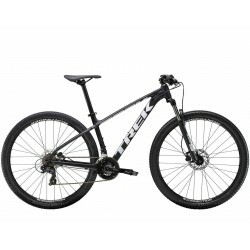 Looking for a good mountain bike for a reasonable price? the trails on a hardtail, here at FunCorner you can find bikes with 27.5" and 29"
Cube Access WS reefblue´n´apricot 2019 at Fun Corner! Cube Access WS iridium´n´berry 2019 at Fun Corner! Haibike SEET HardNine 2.0 2019 at Fun Corner! Haibike SEET HardSeven Life 2.0 Ladies 2019 at Fun Corner! Haibike SEET HardSeven 2.0 2019 at Fun Corner! Cube Aim red´n´orange 2019 at Fun Corner! Cube Aim black´n´blue 2019 at Fun Corner! Cube Aim Pro blue´n´orange 2019 at Fun Corner! Haibike SEET HardNine 1.5 Street 2019 at Fun Corner! Cube Aim Pro black´n´flashyellow 2019 at Fun Corner!